"Meet the new boss. Same as the old boss ..." Was Pete Townshend on to something? Despite the narrative of “change from within” that was made popular after the October 1 leadership vote, the wave of change has not spilled far into the Progressive Conservative ranks since Alison Redford was elected into her new role one month ago. 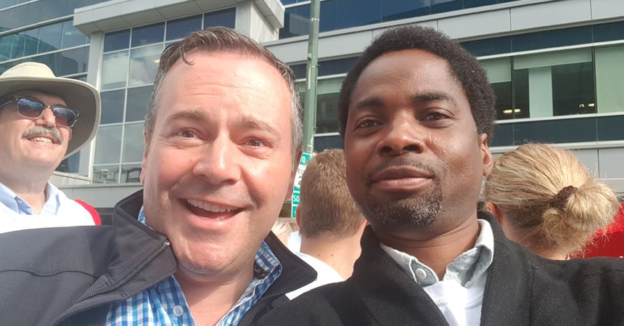 – The Globe & Mail is reporting that the controversial Kelley Charlebois is expected to be appointed as the next Executive Director of the Alberta PC Party this week. Albertans may remember Mr. Charlebois as the owner of the company that was awarded $390,000 worth of controversial contracts to consult with with then-Health Minister Gary Mar between 2002 and 2004. During the recent PC leadership contest, Mr. Charlebois claimed that he was being unfairly targeted by the media. – Long-time Tory strategist Susan Elliott has been appointed as the Progressive Conservative Party campaign manager for the next election. 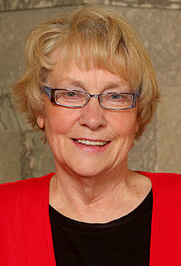 Along with 2008 campaign manager Randy Dawson, Ms. Elliott played a central role in Premier Ed Stelmach‘s election campaign. – While Premier Redford did make a showing of dumping long-time Tory stalwarts from the provincial cabinet, many of the key ministers in her first cabinet are politicians played a central role in Premier Stelmach’s administration. Energy Minister Ted Morton, Human Services Minister Dave Hancock, Finance Minister Ron Liepert, Transportation Minister Ray Danyluk, Education Minister Thomas Lukaszuk, and Deputy Premier Doug Horner were all key players in Premier Stelmach’s final cabinet. – Shortly after being sworn-in office, Premier Redford appointed leadership opponent Mr. Mar as Alberta’s representative in Hong Kong. Mr. Mar’s leadership campaign manager Elan McDonald soon found her way back into the Premier’s office as Advisor to the Premier and Legislative Affairs. She had previously worked in Premier Stelmach’s office. 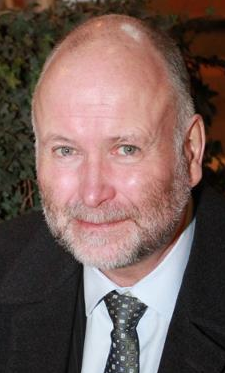 – It is unclear what his official title will be, but leadership opponent and former cabinet minister Rick Orman is expected to be appointed by Premier Redford to work on a northern Alberta development strategy. – When entering office, Premier Redford’s transition team also included some old-time Tory connectors, including current Alberta Health Services Chairman Ken Hughes, who was a Tory Member of Parliament under Prime Minister Brian Mulroney. Nearly all incumbent PC MLA’s who have already been nominated for the next election have been acclaimed and of those who faced nomination challenges only one was defeated (and he is now seeking a nomination in a neighbouring constituency). City of Leduc Alderman Dominic Mishio unsuccessfully challenged two-term backbencher George Rogers in Leduc-Beaumont, Lars Lehmann unsuccessfully challenged three-term backbencher Alana DeLong in Calgary-Bow, and Rick Fraser defeated three-term backbencher Art Johnston in Calgary-South East. Now the Parliamentary Assistant to the Premier, Mr. Johnston recently announced that he will be seeking nomination in a different constituency (his current constituency is being redistributed in the next election). Jeff Wedman is standing for the PC nomination in St. Albert, though there is some talk that current PC MLA Ken Allred will retire before the next election. ‘Change from within’ is a nice slogan, but when you take a closer look, it looks awfully close to what things look liked before. This entry was posted in Alberta Politics and tagged Alana DeLong, Alison Redford, Art Johnston, Brian Mulroney, Dave Hancock, Dominic Mishio, Elan McDonald, Gary Mar, George Rogers, Jeff Wedman, Kelley Charlebois, Ken Hughes, Lars Lehmann, Randy Dawson, Ray Danyluk, Rick Fraser, Rick Orman, Ron Liepert, Susan Elliott, Ted Morton, Thomas Lukaszuk on November 1, 2011 by Dave Cournoyer. alberta candidate nomination update – october 2011 (part 3). I have updated the list of candidates who have been nominated or declared their intentions to stand as candidates in Alberta’s next provincial election expected in 2012. Please email comment below or email me at david.cournoyer@gmail.com if there are additions to the list. Barrhead-Morinville-Westlock: CUPE activist Trudy Grebenstein is seeking the NDP nomination scheduled for November 14, 2011. Ms. Grebenstein previously contested the NDP nomination in Athabasca-Sturgeon-Redwater on September 21 and was defeated by Mandy Melnyk. Bonnyville-Cold Lake: Many-time NDP candidate Luanne Bannister is seeking the NDP nomination on November 16. Ms. Bannister has previously stood as an NDP candidate in the 2004 election in Cardston-Taber-Warner and in the 2008 election in Drayton Valley-Calmar. Calgary-Fort: Jeevan Mangat has been nominated as the new Wildrose candidate in Calgary-Fort. Mr. Mangat replaces previously nominated candidate Bob McInnis, whostepped down for personal reasons earlier this year. Also contesting the nomination wasDalton Dalik. Calgary-Hawkwood: Previously nominated in Calgary-Mackay-Nose Hill, Collin Anderson is now seeking the NDP nomination in Calgary-Hawkwood. 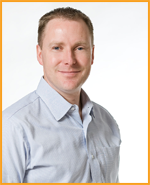 In the 2008 election, Mr. Anderson stood as the NDP candidate in Calgary-North West. Calgary-Mackay-Nose Hill: Replacing the previously nominated Mr. Anderson (see above) is Anne Wilson who is seeking the NDP nomination scheduled for November 10. Ms. Wilson was the NDP candidate in Banff-Cochrane in the 2008 election. Cardston-Taber-Warner: The NDP have nominated Barbara Eng-Bonthoux as their long-shot candidate in this deep rural south constituency. In the 2008 election, NDP candidate Susan Sirias earned 190 votes out of the 9,505 votes cast. Edmonton-Centre: The NDP nomination originally scheduled for last week has been postponed. The candidate expected to be nominated was Nadine Bailey, who had stood as the federal NDP candidate in Edmonton-Mill Woods-Beaumont in the recent federal election. Edmonton-Whitemud: Julia Necheff has been nominated as the Alberta Party candidate. Ms. Necheff is a former reporter with Canadian Press and writer for Faculty of Medicine at the University of Alberta. Olds-Didsbury-Three Hills: The Progressive Conservative nomination to replace retiring MLA Richard Marz is scheduled for November 26, 2011. Declared candidates include Darcy Davis, Al Kemmere, and William Stevenson. The NDP have nominated Kristie Krezanoski as their candidate. 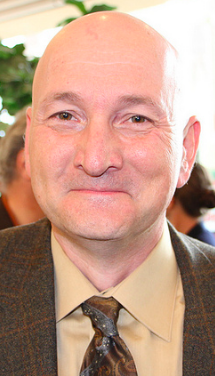 Red Deer-South: On November 3, 2011, the Alberta Party is expected to nominate Serge Gingras as their candidate. Rocky Mountain House: Jocelyn Stenger is expected to be nominated as the NDP candidate at a meeting scheduled for November 17, 2011. Ms. Stenger is currently employed in the Edmonton-Highlands-Norwood constituency office of NDP MLA Brian Mason. 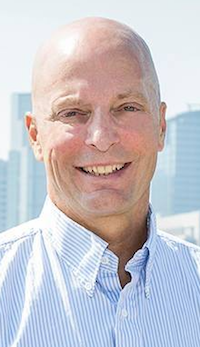 St. Albert: Recently retired Canadian Forces Major Jeff Wedman is seeking the PC nomination in St. Albert, challenging incumbent PC MLA Ken Allred. Mr. Wedman recently retired as Deputy Commanding Officer of 408 Tactical Helicopter Squadron in Edmonton. Mr. Allred was first elected in 2008 after defeating Liberal MLA Jack Flaherty by 2,805 votes. Stony Plain: Alberta Federation of Labour staff member Linda Robinson is seeking the NDP nomination scheduled for November 1, 2011. Vermilion-Lloydminster: Many-time NDP candidate Ray Stone is seeking his party’s nomination on November 16, 2011. Mr. Stone stood as his party’s candidate in Vermilion-Lloydminster in the 2004 election and as the federal NDP candidate in Vegreville-Wainwright in the 2008 and 2011 elections. This entry was posted in Alberta Politics and tagged Al Kemmere, Anne Wilson, Barbara Eng-Bonthoux, Bob McInnis, Brian Mason, Collin Anderson, Dalton Dalik, Darcy Davis, Jack Flaherty, Jeevan Mangat, Jeff Wedman, Jocelyn Stenger, Julia Necheff, Ken Allred, Kristie Krezanoski, Linda Robinson, Luanne Bannister, Mandy Melnyk, Nadene Bailey, Ray Stone, Richard Marz, Serge Gingras, Susan Sirias, Trudy Grebenstein, William Stevenson on October 31, 2011 by Dave Cournoyer.